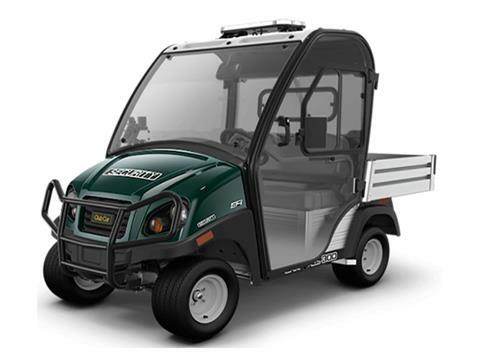 These days, security is more important than ever, and the Carryall 300 Security Vehicle is designed for your changing campus or worksite. 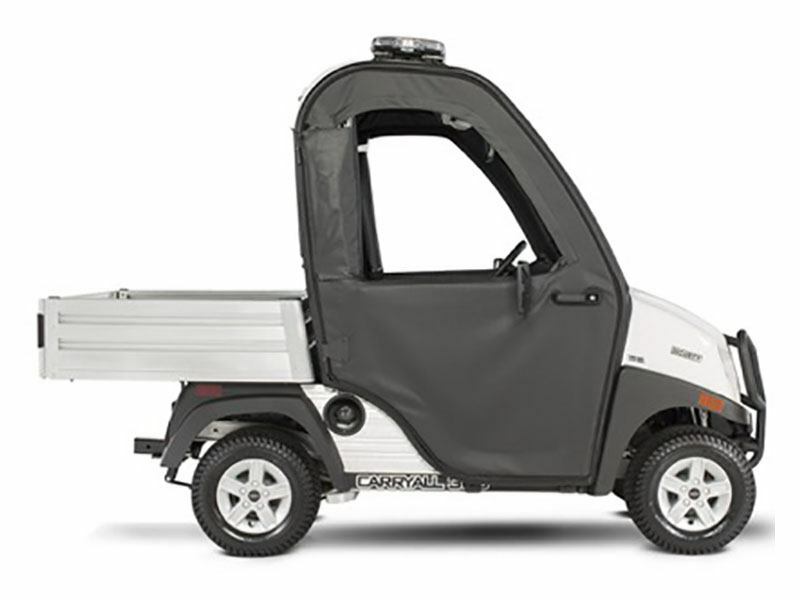 Pedestrian-only zones that don’t allow trucks, ever-expanding parking areas and tighter, more confined paths make Carryall work UTVs the number one choice for security. 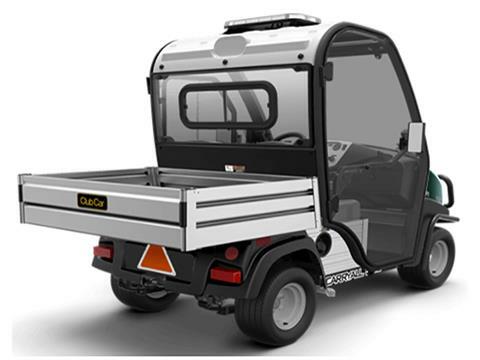 This vehicle’s narrow profile and tight turning radius make it ideal for security applications. Gasoline models are driven by 14-hp-rated (10kW) single-cylinder overhead cam engines with electronic fuel that doubles the mileage of some competitive vehicles. HEAVY-DUTY 2-LEAF SPRING FRONT SUSPENSION - 2 WHEEL BRAKES: This heavy-duty, 2-leaf spring front suspension is for vehicles with 2 wheel brakes to handle higher impact and loading. REAR LIGHTING, TURN SIGNAL, AND HORN PACKAGE: Rear tail lights and brake lights make your vehicle more visible while turn signals communicate your intended driving pathway to other drivers. A horn makes it easy to alert others in a variety of situations. BED FLOOR INSTALLATION: Standard bed floor used for cargo or flat beds for Carryall 300 and Transporter units. SHORT CARGO BOX: Short cargo box used on Carryall 300 and Transporter Units to safely transport your supplies. TAILGATE TETHER INSTALLATION: Protect your tailgate with the Tailgate Tether Installation. COMPLETE CPL CAB: The CPL cab is our build-your-own-cab system. A wide range of options allow you to customize the cab to fit the unique needs, preferences, climate, and tasks of your organization. The complete cab includes doors and windows to protect you from the elements. DRIVER SIDE MIRROR KIT: Improve visibility to the rear by adding a driver's side mirror to your vehicle. PASSENGER SIDE MIRROR KIT: Improve visibility to the rear by adding a passenger's side mirror to your vehicle. INTERIOR MIRROR KIT: Improve visibility to the rear by adding an interior mirror to your vehicle. SECURITY DECAL: Add clear signage to the security vehicles in your fleet with the bold, graphic security decal. BLUE LIGH BAR WITH ALLEY LIGHTS: Choose this emergecy equipment accessory to alert others effectively yet silently. LOCKING GLOVEBOX DOOR: The Locking Glovebox door allows the user to keep items safe when work pulls you away from your vehicle.